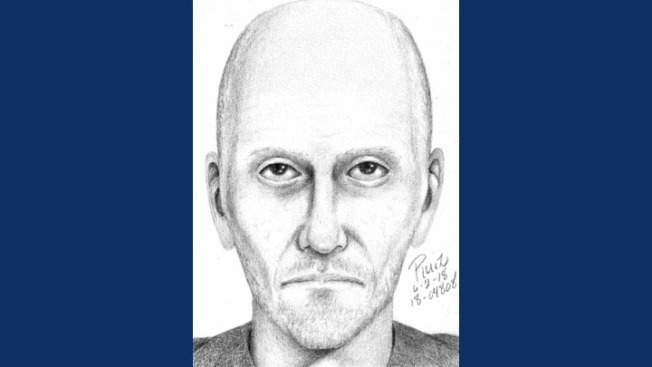 Sketch of suspect in attempted kidnapping. An unknown suspect attempted to kidnap a 27-year-old woman Saturday afternoon at Pinto Lake County Park, Santa Cruz County sheriff's deputies reported. The woman was attending a family party at the lake at 4 p.m. when the man grabbed her and pulled her away from her car at 757 Green Valley Road. The victim struggled to get away and screamed for help, according to deputies, and was able to break away and flee the area. The suspect ran to a vehicle parked nearby and the victim's family called 911, police said. The man is described as a Hispanic man in his late 30s to early 40s, about 6 feet tall with a thin build and a medium to dark complexion. He was last seen wearing a black short-sleeved shirt with red and white lettering and black shorts, deputies said. The car he jumped into is a mid-90s light blue two-door Honda Accord with sun damage on the paint, according to deputies.